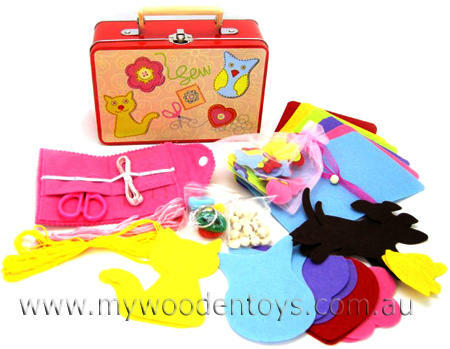 Sewing Kit In Tin Suitcase is a wonderfully creative toy generously filled to the brim with all sorts of things to get you threading, stitching and making. This toy comes in a lovely little tin suitcase with a handle. A wonderful toy to get you started on some great projects. Warning: This toy contains sharp needles. We like this because: "Really packed full of creative goodness "